Alexandra Bee Blog: Goodbyes, Picasso, and a Birthday! You guessed it-- my weekend was filled with goodbyes, Picasso, and a birthday (my mother's to be exact!). Thursday night, one of my best friends and APhi sistas, LPC and I went out for one last Charlottesville hurrah-- we had a blast! Our night began with dinner and "Survivor Hour" (aka $1 drinks) at The Biltmore followed by more drinks and fun at my favorite UVA bar, The Virginian. Friday night was the Residence Staff Banquet. 4th year was by far my favorite year of college and being surrounded by such wonderful other RAs this year, was definitely a huge reason for this year being so great. Saturday, I moved out and said goodbye to my last few residents. They're tearing down our building this summer to rebuild new dorms, and my residents had left the sweetest messages written on the walls! My dad also left a note for me on my bedroom wall after moving everything out on Friday! Saturday afternoon I got home and relaxed for a bit and was surprised with a special treat on my bed! That night we headed to the Picasso Exhibit at the Virginia Museum of Fine Arts. Richmond was one of seven cities for this international tour and the only venue on the East Coast. I have always loved art and wish I had taken more art history classes in my time at school. They divided his works into eleven exhibitions by time period, which made it very easy to see the progression of his work. 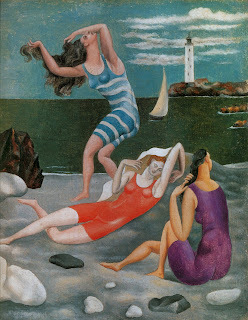 My favorite two pieces were his Portrait of Dora Maar, a woman who served as an inspiration for Picasso's political works and his Bathers, in which I noticed the contrast between the symmetry of nature (as seen in the clouds and the rocky islands) and the asymmetrical movement and life of the three bathing women. No pictures were allowed inside the exhibit, so this was as close as my camera got! After Picasso, we had planned to go to a nice dinner somewhere in Carytown to celebrate my mom's birthday, however, it was POURING rain, so we decided to go to one of our favorite Chinese spots, Tiki Tiki, for a quick meal instead. At dinner, I gave my mom her Mother's Day/birthday present that I have been SO EXCITED about! Getting a little teary-eyed reading the card. Ta da! 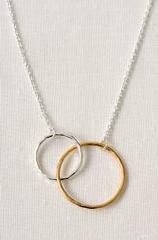 Stella & Dot Together Forever Necklaces! I saw these necklaces and knew they were the perfect present for my mom. I got them as a symbol of our loving relationship and the fact that we have been and will be together forever. Finally, while home, I LOVED hearing the song of tree frogs as a reminder that summer nights are just around the corner. When we got home from dinner Saturday night, I even almost stepped on this little guy! What a great weekend!! Love the necklace you got for you mom. Looks like the Picasso exhibit was awesome! I've never seen the Bathers painting before- It's really interesting. Thanks for sharing! It must feel great to be home! I've been home for a week now and i'm already missing the Virginian haha:) I love going to the UVA art museum too! The necklace you got for your Mom is perfect! Looks like you had a fantastic & busy weekend. You are such a sweet daughter! Happy Monday. OK, I just teared up when I read about the necklace you got for your mom. I know that had to have meant the WORLD to her! So exciting that you got to so the Picasso exhibit. I bet it was amazing to see his work up close!! PS, I love your bag in the pic outside the exhibit. Where's it from ?!? Those really are some of the sweetest little notes (c: It's hard to say goodbye, but moving on is exciting! Sounds like a great weekend, I mean, how could it not be with Picasso??? Happy Monday! What a great weekend! I love the dress you are wearing in the pictures with the other RA's! Sounds like you had such a fun weekend! And I'm sure your mom really loved her necklace.. it's so cute. And that's so cool that everyone was writing on the walls.. some of the messages were so sweet. It's sad that they're tearing the building down! I loved the necklace you got for your mom, she must have been so touched! Still wanting Lilly animal cracker myself! It looks like you had a wonderful weekend - museum, friends, family. What are your plans for the summer?! Those notes are too sweet! I loved being an RA and still miss my residents (3 years later!). Your mother must have loved the necklace, what a special connection to share. Great pink dress! I was an RA as well, what a great experience. The Picasso exhibit looks awesome! I love the Bathers piece, as well. Looks like you had a good time. 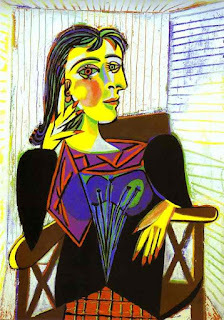 I would love to go to a Picasso exhibit, looks like such fun. I could stay in art museums for hours. Great necklace, such a perfect gift. Lilly animal crackers? Brilliant! I'm glad you had a good weekend. Love the necklace. Just bought it for my Mom for her birthday! Oh I love that necklace! It's great with the silver and gold! How cute are you with those necklaces? It looks like your mom just adores it, and the necklace looks great on both of you. Also - I've never seen the Lily animal crackers but those are equally as darling! Yeah for the Lilly animal crackers, I jumped for JOY when I found them! The necklaces are gorgie! Seems to me your weekend was fantabulous! Looks like you had a really fun blessed weekend! Love that necklace!! That necklace is so classic - love it! What a sweet gift! Happy birthday to your mom! I wish I had gone to the Picasso exhibit before I left school, I heard it was wonderful! Love those necklaces! I bet your mom was so touched to receive such a thoughtful and beautiful gift! Love the Lilly Animal crackers, aren't they just the cutest? Such a lovely post. You have such a love for your mother, and I can only hope that I have that type of relationship with my daughter. I had no idea that they made Lilly crackers. So funny! I bet you were a great resident assistant.